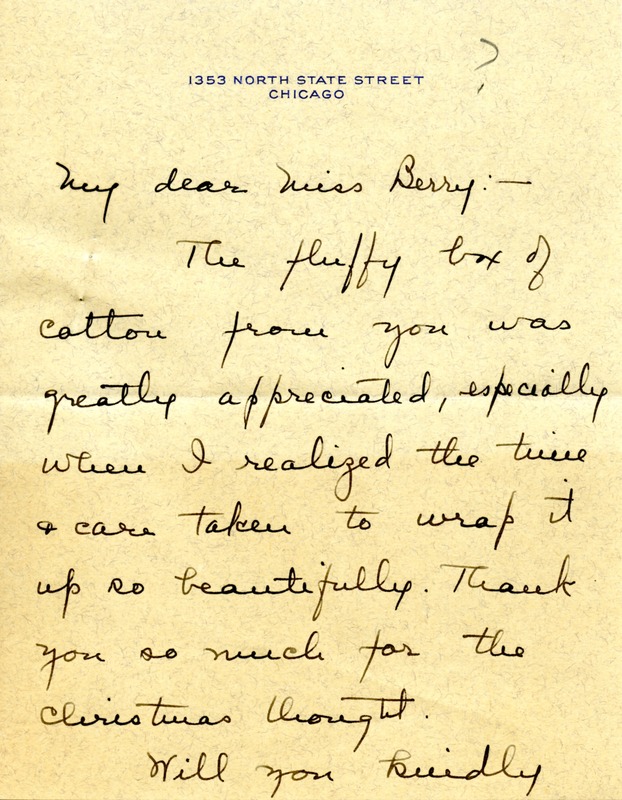 Miss Dickinson thanks Miss Berry for the box of cotton she received at Christmas and asks about a $25 contribution she sent in 1928. 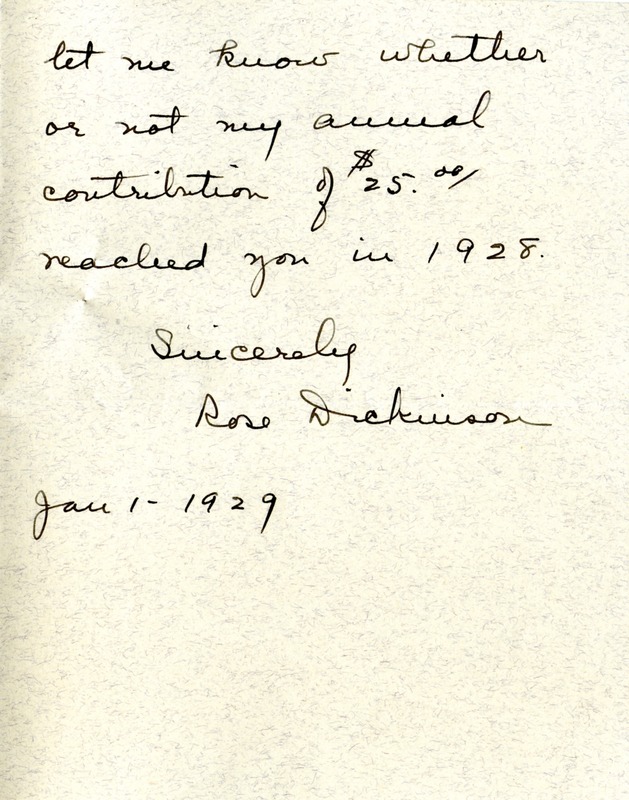 Miss Rose L. Dickinson, “Letter to Martha Berry from Miss Rose L. Dickinson.” Martha Berry Digital Archive. Eds. Schlitz, Stephanie A., et al. Mount Berry: Berry College, 2012. accessed April 25, 2019, https://mbda.berry.edu/items/show/9916.